Pub Run 2016 Registration Is Now Open! Home › Latest News › Pub Run 2016 Registration Is Now Open! Suds by the Shore Summer Pub Run Series IS BACK!! 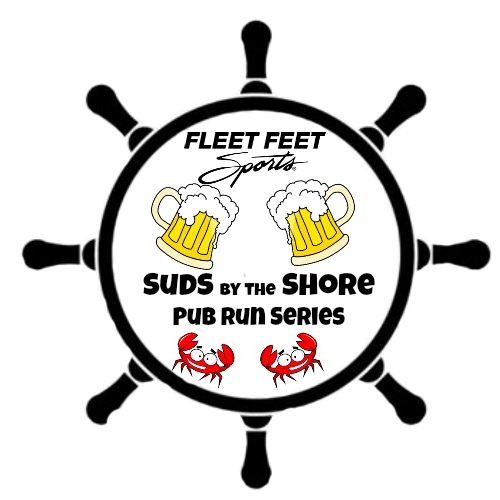 Once again we will be holding pub runs in Annapolis and Severna Park. The series will include five group runs from Fleet Feet Sports Annapolis, and five group runs from Fleet Feet Sports Severna Park followed by a visit to a local pub in the area! The runs from Fleet Feet Annapolis will take place on the 2nd TUESDAY of every month starting in May through September, and the runs from Fleet Feet Severna Park will take place on the 3rd TUESDAY of every month. Don't miss out on the fun! Register for these FREE runs here.